In a dart, barrel is the main part, which is made in different shapes, from cylinder. The best material to manufacture these barrels is tungsten, as it is very dense, and can made slim dart with a considerable weight. As 100% tunsgten is difficult to machine, dart barrels can be 80% tungsten and 20% nickle. The company provides high grade tungsten alloy dart billets for making dart barrels that are slim and two or three of these can fit in the same area in treble bed. These cylinder rod shape tungsten dart billets are provided in different sizes, weights and contents to oversees clients. The knurling pattern is made on the barrels to give the player a confident grip. 65% and 95~97% tungsten are offered following customers' specific request. 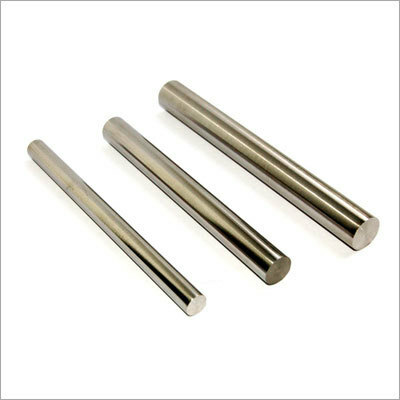 Tungsten heavy alloy billets are actually tungsten cylinder rods after surface grinding by center-less processing, and their weights are varied from different tungsten contents and rod sizes. We can provide different size of tungsten heavy alloy darts components. Please find a list for regular tungsten heavy alloy billets below. Please choose freely from the models and sizes below or contact us with your own specifications or requirements. If there is any size or tungesten content is not available in above mentioned table then please contact us for your own required specification as we can also manufacture dart billets according to your requirements and usage.